I love those early spring days. 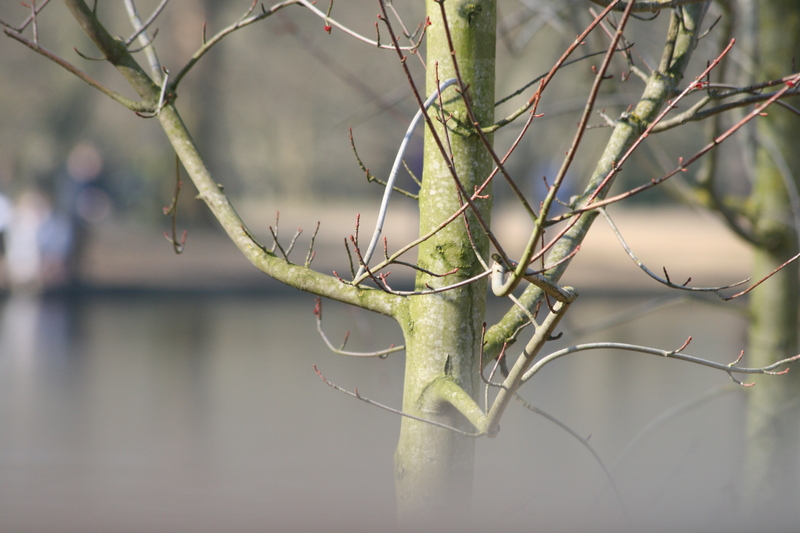 The hope that sunshine and warmth brings after a hard – or just wet – winter. The colour of daffodils relieving the winter monotones. Today was a beautiful day. But it started with a thick fog in the Thames valley. 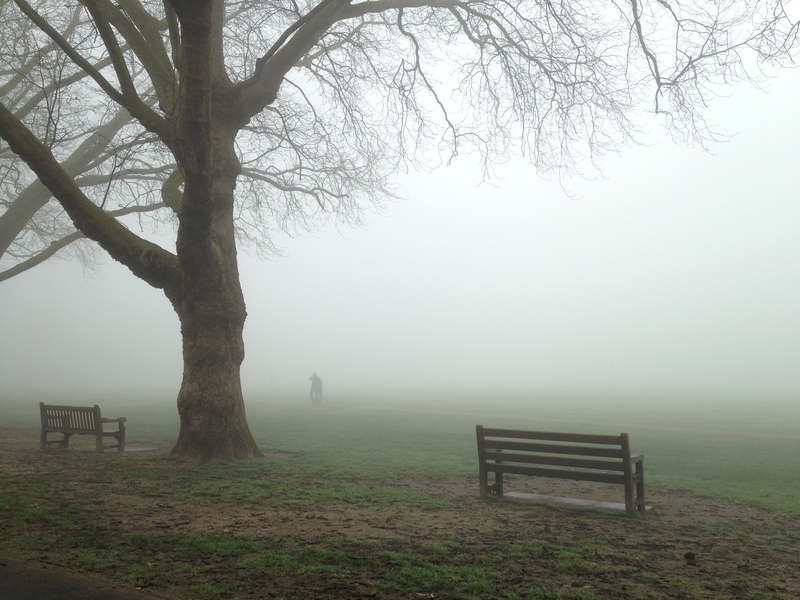 I stopped the car to take this photo of a foggy Richmond Green minutes before getting to my riverside office. 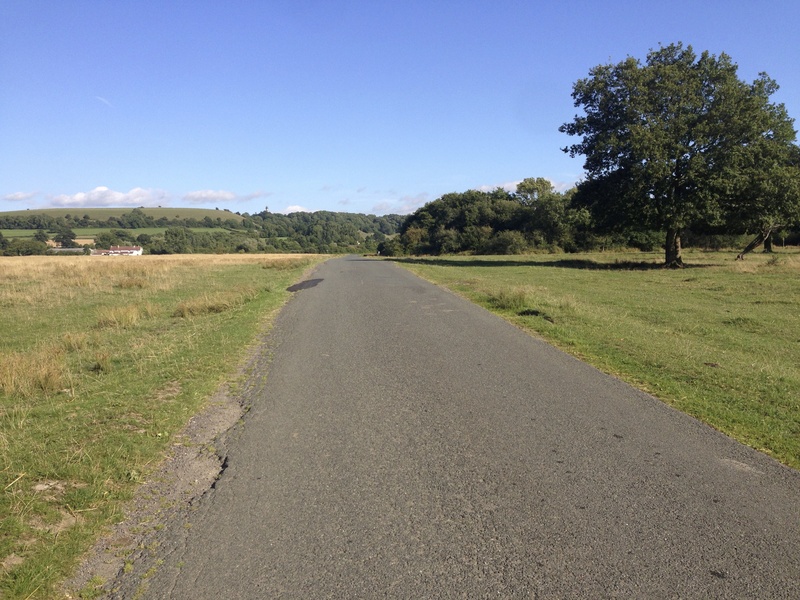 The photo below is of Black Park, a lovely Buckinghamshire country park near Slough, on a beautiful sunny Sunday last weekend. 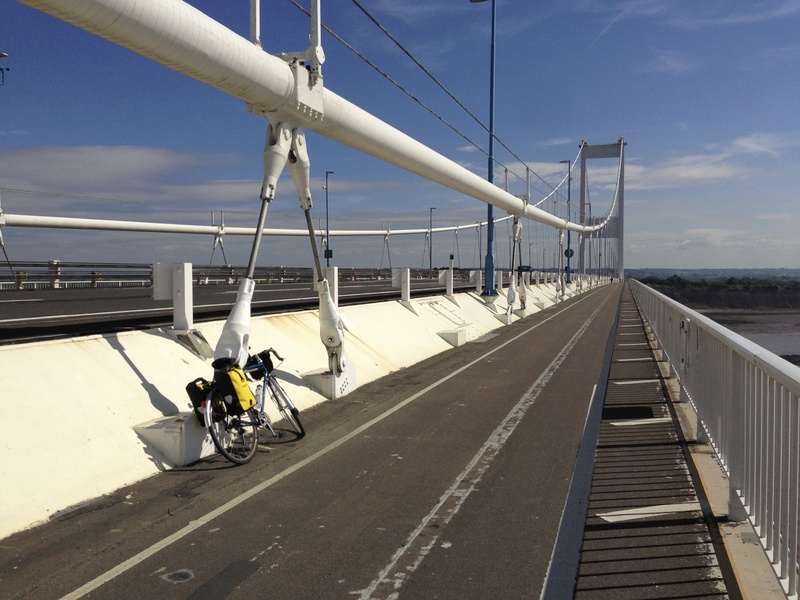 Way back in 1998, I cycled at speed down a Normandy valley wishing I could have videoed the experience. 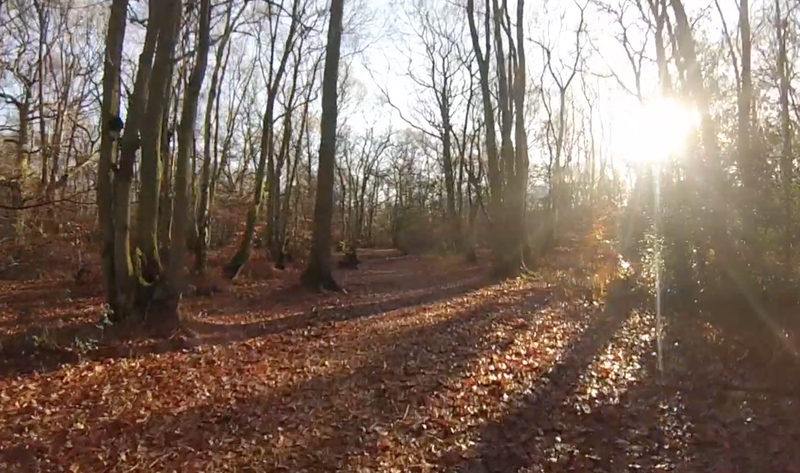 Some 15 years on, I have the answer: the GoPro Hero 3 video camera. I’m still learning how to make the most of it, but I love this clever bit of kit, which brings together two of my passions, cycling and video. I usually edit my videos on my Mac with Apple’s iMovie app. All the reports I’d read suggested that GoPro videos needed converting from MPEG 4 to a format iMovie can handle. But the first time I tried importing directly, iMovie seemed to handle everything fine without converting. But then I ran into difficulties. I had to cancel the first import – and couldn’t get the Mac to resume. (It wouldn’t do anything without the camera being connected.) I had no better luck the second time. So today, I bit the bullet, and converted my latest video footage in GoPro Studio before attempting to edit it in iMovie. It worked flawlessly. So my best tip for anyone else wanting to edit GoPro footage in iMovie is this: accept you need to convert the footage first. You’ll save yourself a lot of frustration. PS: read my review of the GoPro jaws clamp mount. Roald Dahl was a wonderful storyteller. Over 20 years after his death, millions of children and adults still love his tales of the unexpected. 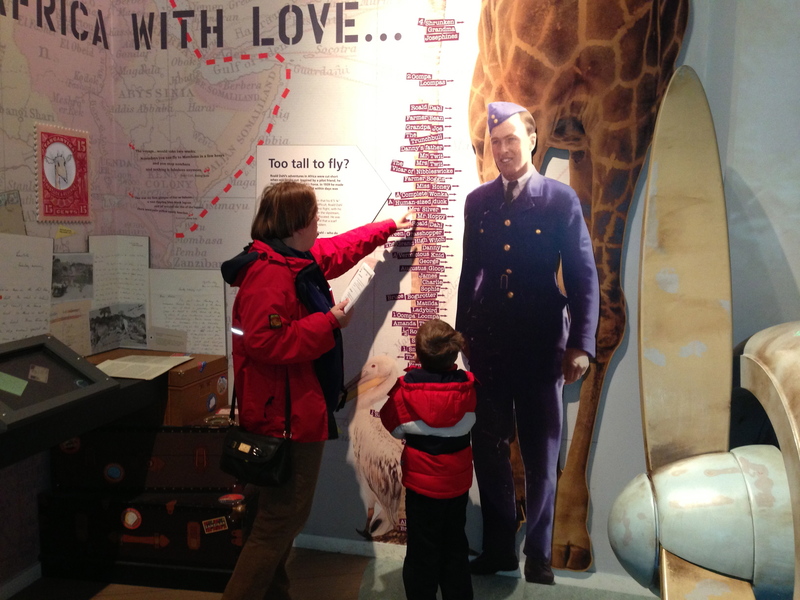 So it’s no surprise that the Roald Dahl Museum and Story Centre in Great Missenden is so popular. I’ve always had a soft spot for Roald Dahl. He was born in my own home town, Cardiff, growing up in Llandaff. He was christened in Cardiff’s Norwegian church in 1916. 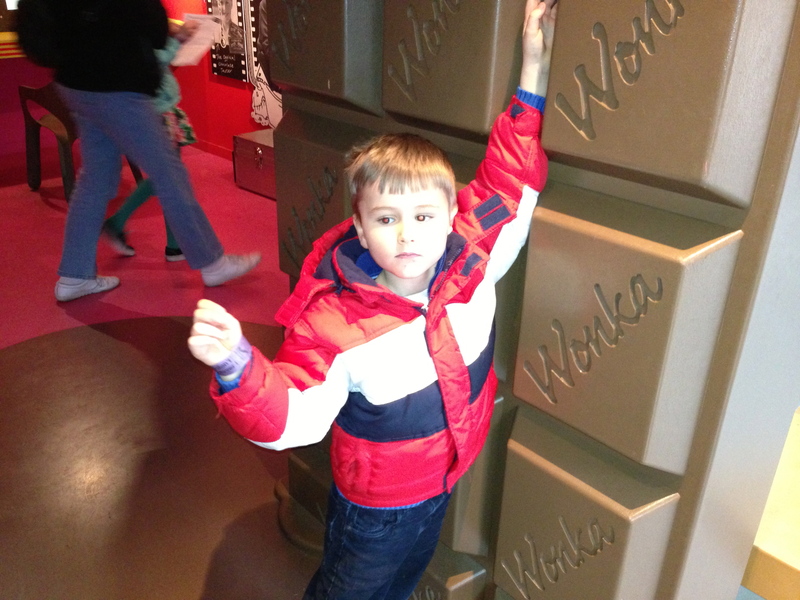 His stories are dark rather than sugary confections. 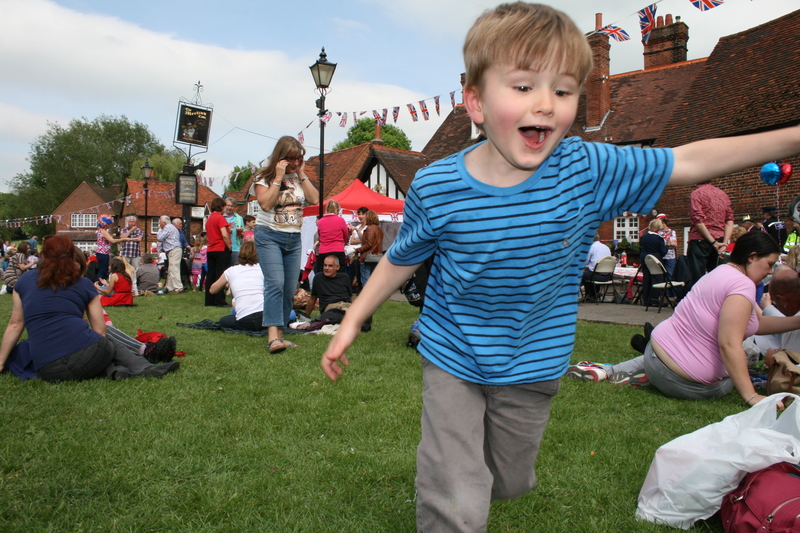 Great Missenden has done him proud. See my earlier post about the museum here. The London Underground celebrated its 150th birthday yesterday. On 9 January 1863, a Metropolitan Railway steam train made its way from Paddington to Farringdon to launch the world’s first underground railway. The tube has played a vital part in London life: commuter network, bomb shelter and icon. It remains a precious symbol of life in the capital, even for those of us who don’t live in London. The Underground’s iconic status owes a lot to its long-lived corporate identity. The roundel is over a century old, and the typeface (although later modified) dates from the dark days of the Great War. Frank Beck created his famous map in 1933 as the Underground began life as a publicly owned institution: the London Passenger Transport Board, better known as London Transport. The 1930s were in many ways the tube’s golden era with constant expansion, stunning architecture and new trains that served two generations and survived a world war. (I started working in London in 1987 as London Transport brought back 1938 trains to cope with demand.) Under Frank Pick, London Transport led the world as an integrated system of underground trains, buses and trams, as well as a patron of industrial art and design. That public ownership has long outlived the nationalised British Railways – whose celebrated 1960s corporate identity has given way to an explosion of liveries and typefaces, destroying the very idea of a common network. In today’s Guardian, Andrew Martin rightly describes the tube as the people’s railway. 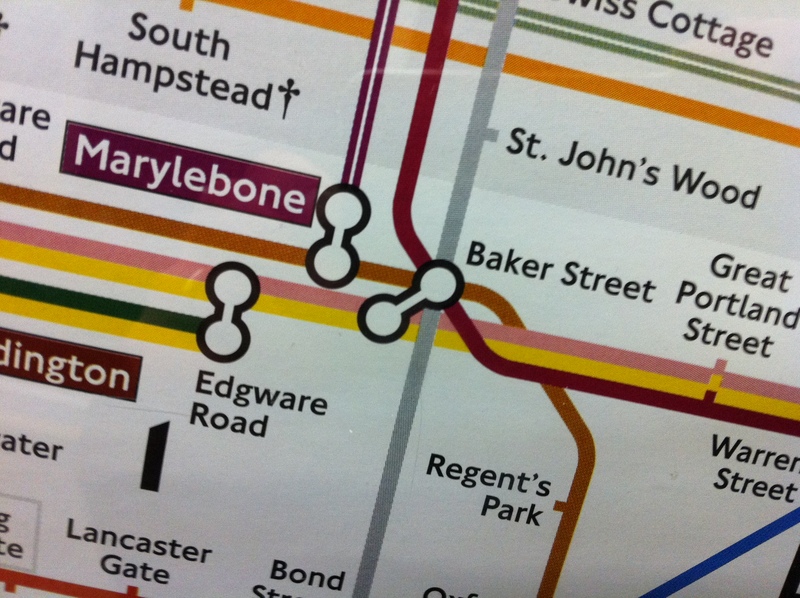 Whether you’re rich or poor, you’ll usually find the tube the fastest, most convenient way to get around the city. Despite its name, most of the Underground is actually overground. 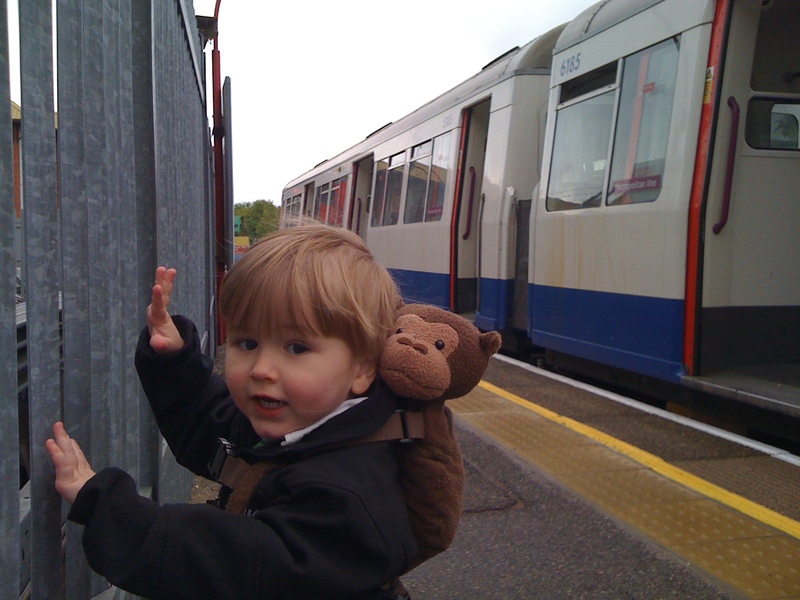 Amersham (above, with then one year old Owen with a 1962 train – built the year of the first Beatles single) is at the country end of the Met Line. Trains from Amersham only head into the tunnel at Finchley Road, a handful of miles from the 1863 line at Baker Street. That 1962 unit was one of the trains that replaced the last passenger steam services on the Underground after almost a century. Curiously, London Transport was still using steam for engineering trains as late as 1971 with former Great Western pannier tanks. 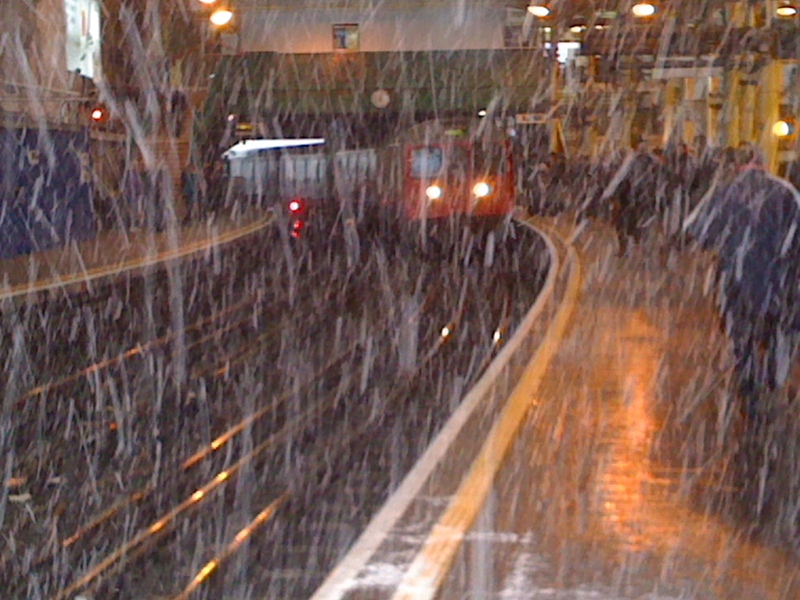 Finally, as Britain (apparently) faces a cold snap, here’s one of those 1960s Met line trains arriving at Farringdon on 17 December 2010. 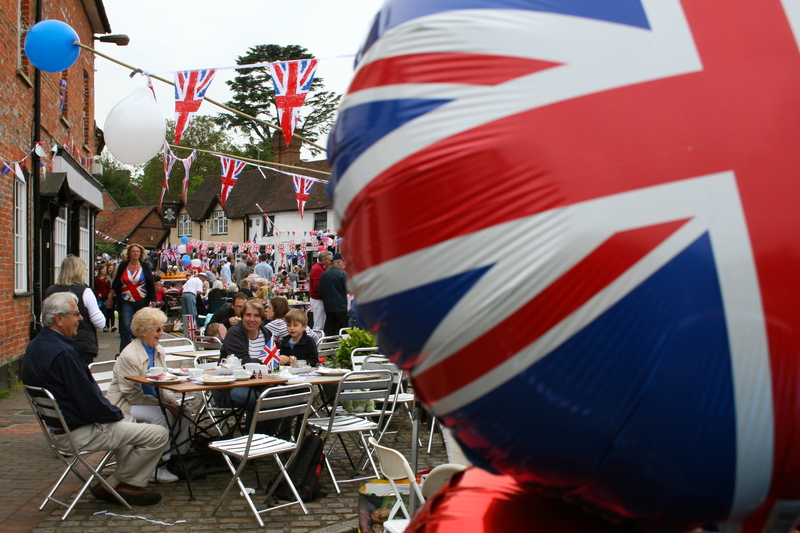 Chorleywood: the best thing in sliced bread? 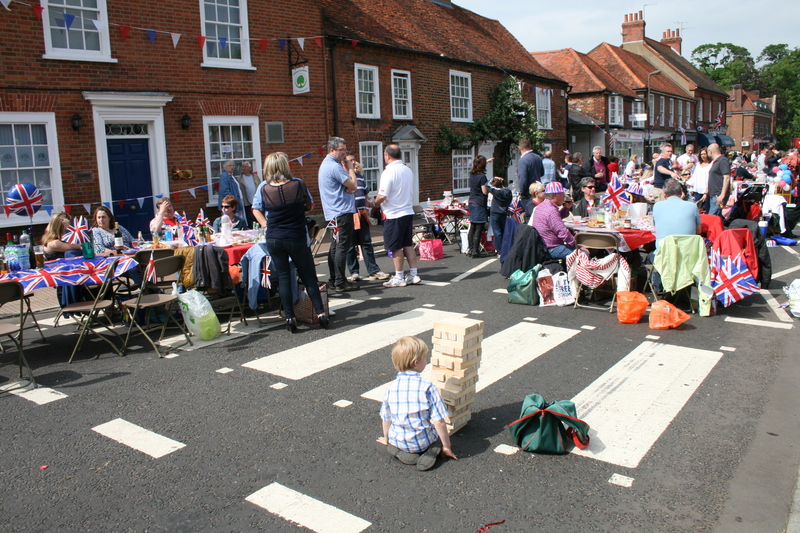 Chorleywood is a pleasant but unassuming village on the Herts/Bucks border. I take Owen there every Saturday for his football class. So it came as a surprise to learn that the village created the modern loaf of bread. Back in 1961, the British Baking Industries Research Association, based in Chorleywood, invented a new way of making bread. The Chorleywood process was much quicker, with the extra benefit that loaves lasted longer. Low protein British wheat could be used to make bread easily and quickly. Eight out of 10 British loaves now result from the technique, which has spread around the world – even France. Yet critics say Chorleywood bread is low in nutritional values. 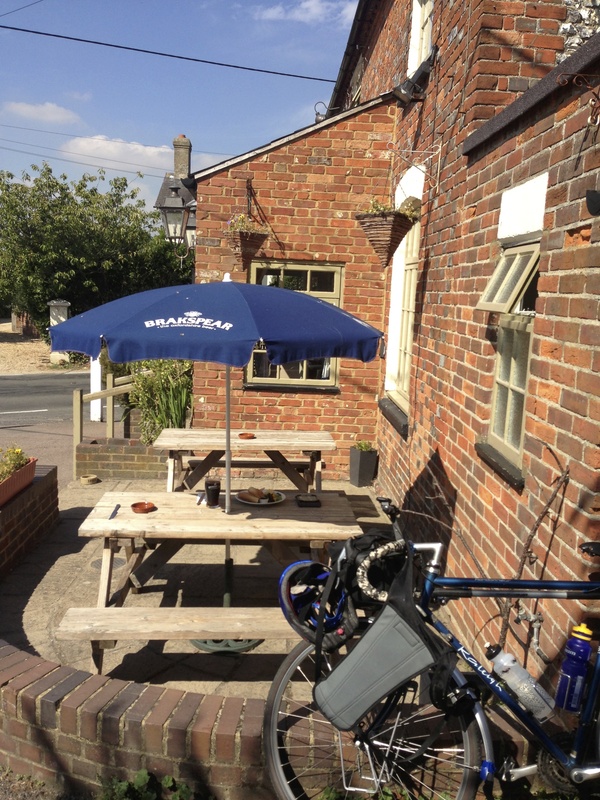 We buy our own bread from the Stratton Bakery in nearby Chalfont St Giles. The bread is made on the premises. 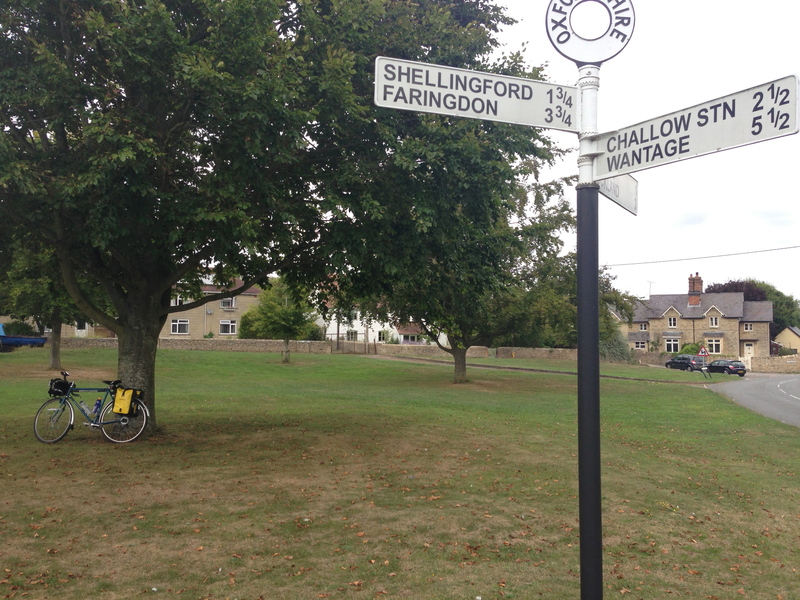 Stratton also has a branch in … Chorleywood. Owen and I went on a steam train today. 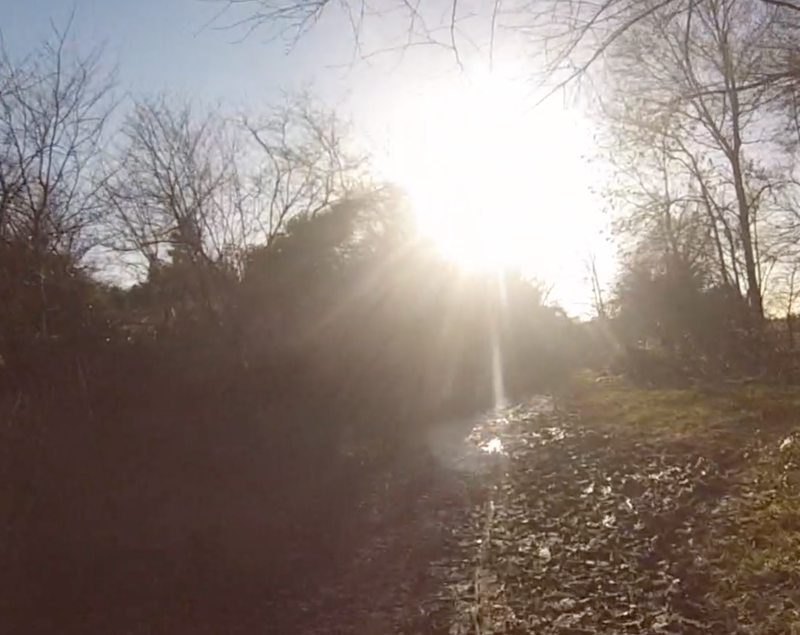 We took the short ride on the Chinnor & Princes Risborough Railway. The train was pulled by an impressive tank engine, BR 2-6-4T 80072, built the month my sister was born, November 1953. Like most engines on preserved lines, it was rescued from Barry scrapyard in South Wales – steam’s graveyard. I’ve blogged before about this remarkable place, and today wondered if by chance I’d taken a photo of 80072 on my visits to Barry in the 1970s and 1980s. It seemed unlikely – I always made a beeline for express engines such as GWR King Edward II, rather than the less glamorous British Railways standard tank engines. 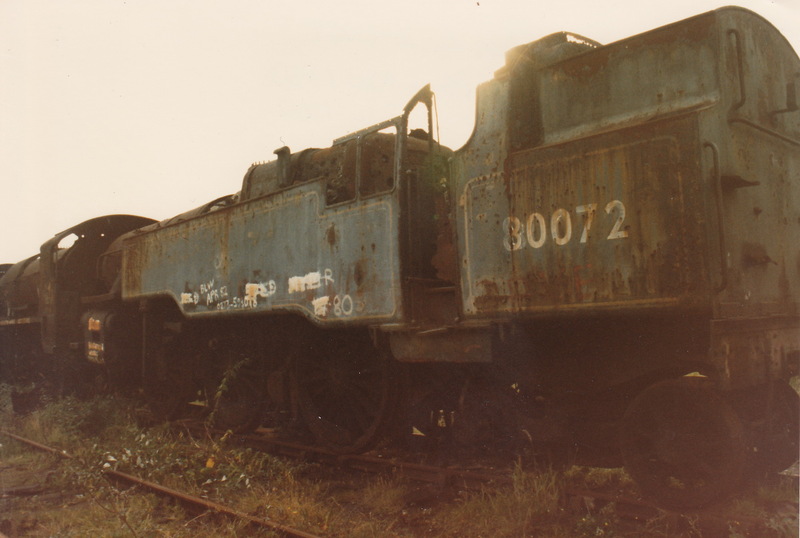 But going through my old photos I found out that I had snapped 80072 on my last visit to Barry, in October 1986. By then, the remaining engines were in a very bad way. It’s little short of a miracle that this wreck is today pulling trains again. All credit to everyone who made it possible. 80072 had an interesting history even before the great escape from Barry. It hauled commuter trains from Southend and Tilbury to London’s Fenchurch Street. 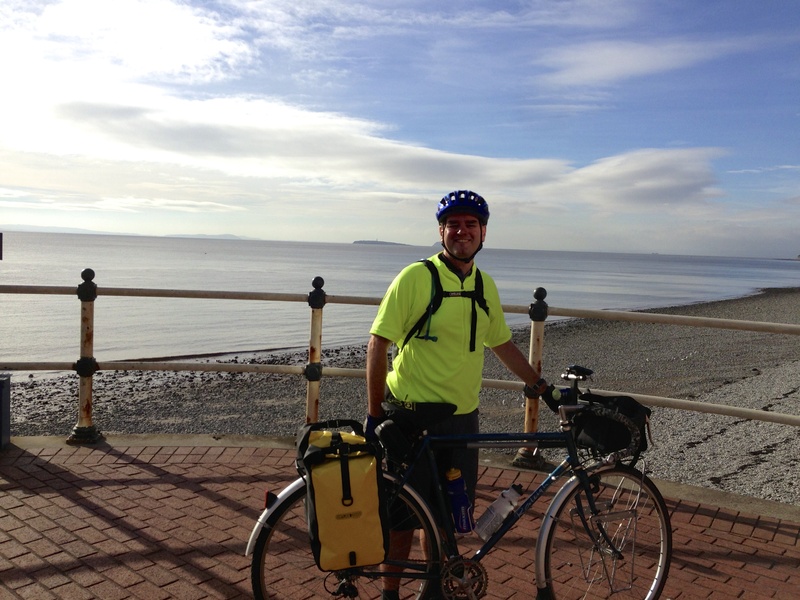 It then had a complete change of scene, moving to Swansea to work the beautiful central Wales line. The month before I was born it moved back to England, to Leamington, working parcels and car transporter trains. We had an unforgettable day at the London 2012 Paralympic Games today. 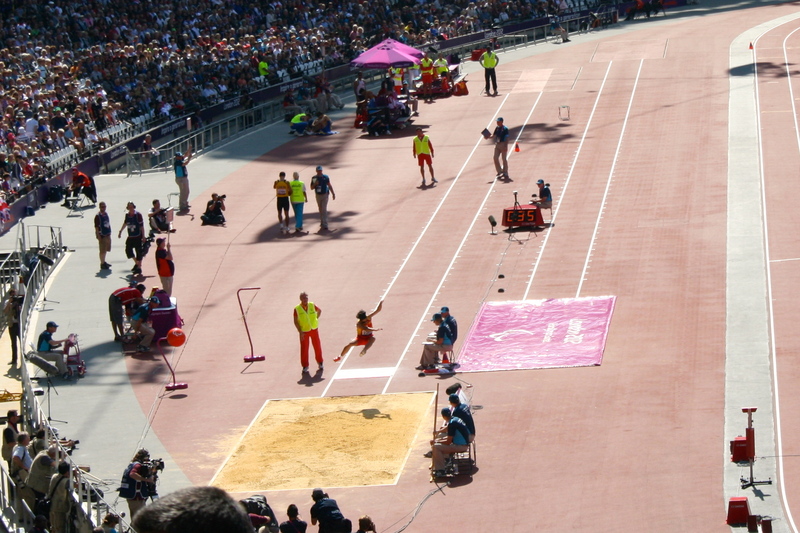 We were lucky enough to get seats in the packed Olympic Stadium in Stratford, experiencing three new world records. 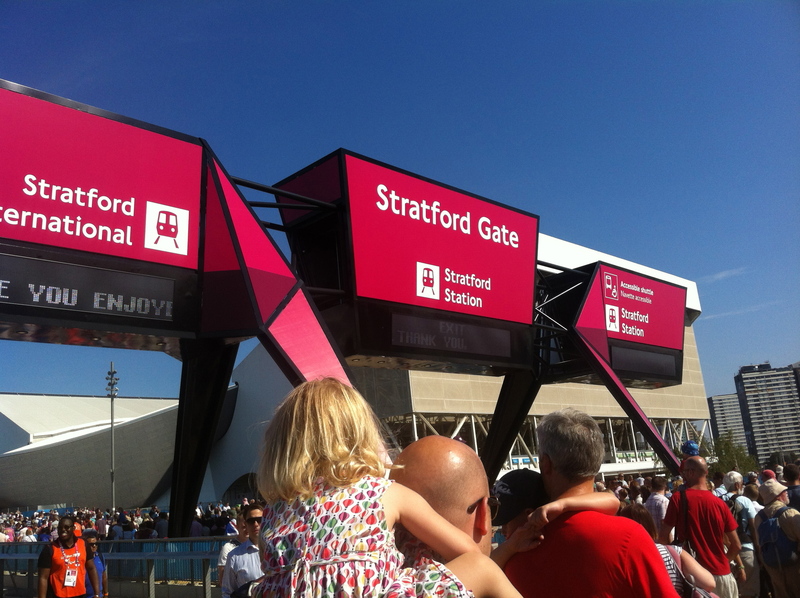 It was lovely to see our niece Siân at work as a Games Maker at Stratford Gate as we went through. Volunteers like her, and everyone involved in organising and running the games, have done the country proud with their incredible efforts. 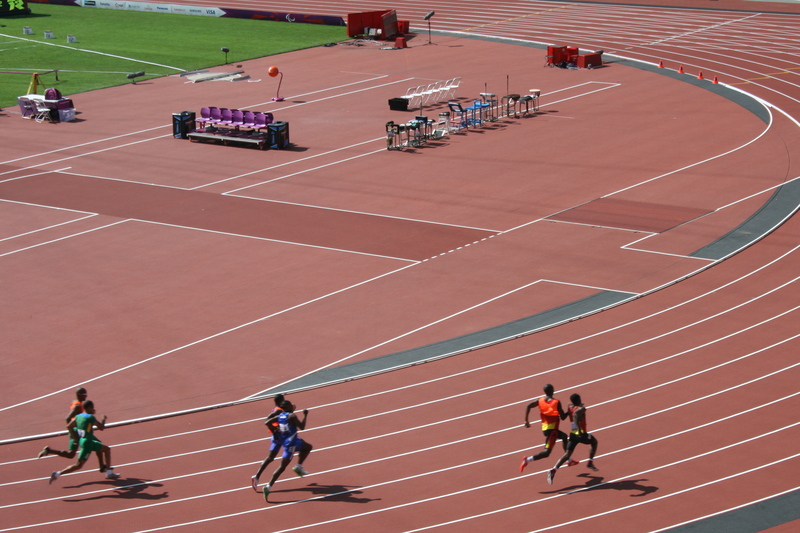 It was so good to see the Olympic Stadium packed for the Paralympics. Great Britain was the birthplace of the Paralympics just after the second world war, as a new start for soldiers who had suffered spinal injuries during the war. (Karen took part in the opening ceremony of the 1984 Paralympics at Stoke Mandeville.) 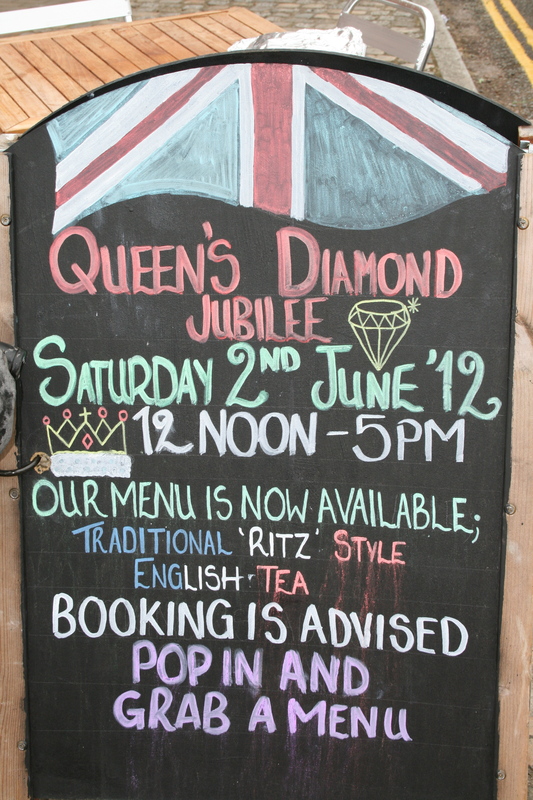 We were keen to support the games and to celebrate amazing athletic achievement. We saw so many families with children at the Paralympics, as we had at the Olympics football opener in Cardiff. London 2012’s aim of inspiring a generation seems to be doing just that. I heard children on a Cornish beach talking in awe about the speeds recorded by amputee cyclists at the Paralympics. And it may be a coincidence but Owen has become a swimmer during the London 2012 summer! Above all, we wanted Owen to understand that personal endeavour and determination can overcome life’s setbacks to achieve amazing dreams. The sour note of the Paralympics came on Sunday night when South Africa’s Oscar Pistorius protested about his defeat in the T44 200 metre final. 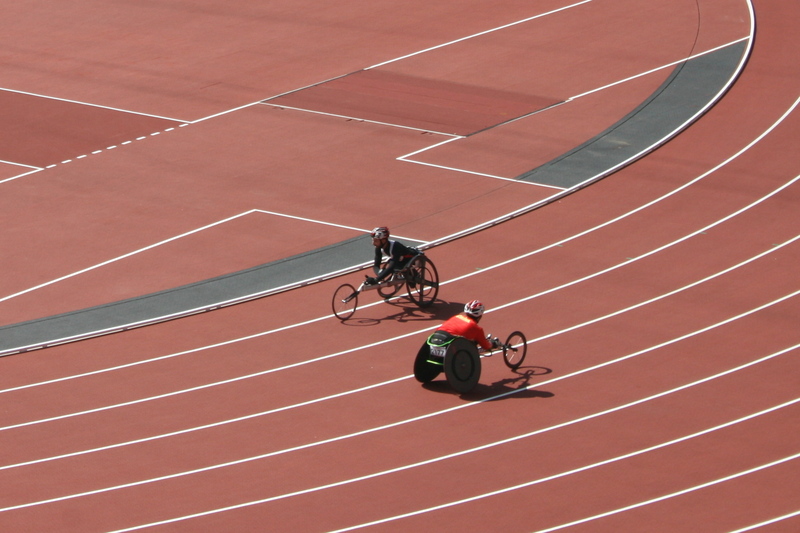 Some commentators said this showed that the Paralympics had arrived as elite sport. Perhaps, but it would be sad for the Paralympics to witness the kind of lack of sportsmanship that now plagues football. Happily the Olympics and Paralympics have been graced by tremendous sportsmanship. 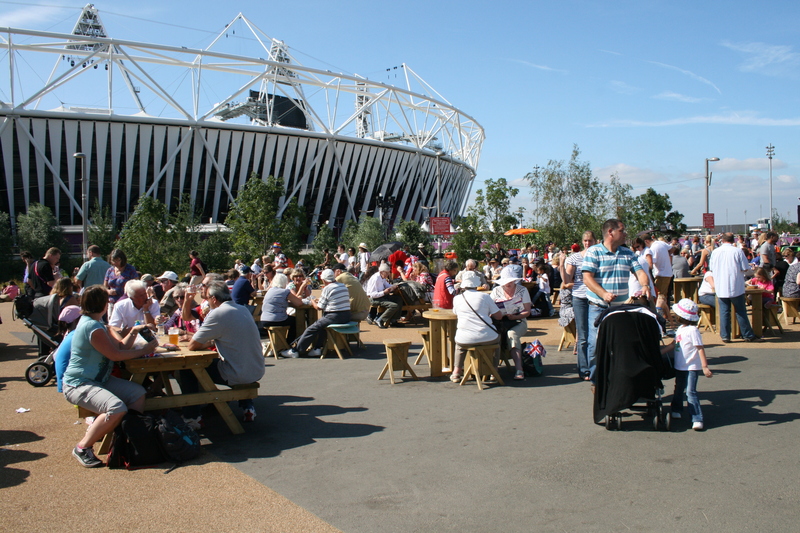 The Olympics have transformed Stratford. 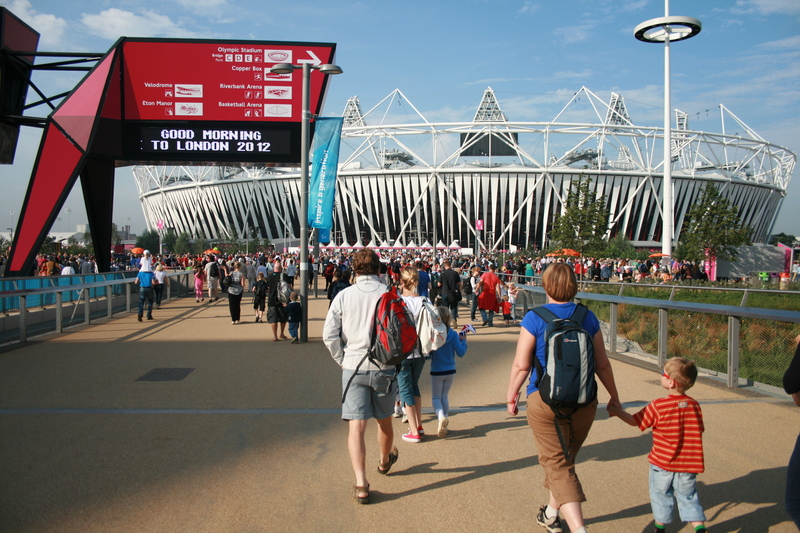 The stadium, velodrome and aquatic centre are stunning additions to the east end of London. As we discovered, Stratford has brilliant transport links across London and beyond. But it’s a shame that many of the other developments do little to lift the spirits. Leaving the Olympic Park towards the Westfield centre, every building ahead of us was an ugly box. This is a big opportunity missed. We just hope that London 2012 provides a longer benefit here. We’ll remember our day at the Paralympics for the rest of our lives. Thank you to everyone who made it happen. Especially those amazing, inspiring athletes.